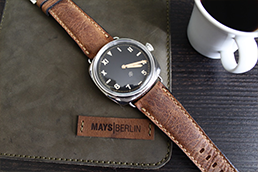 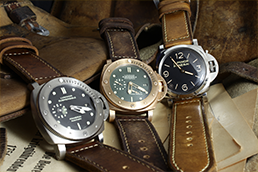 Mays-Berlin creates customized handmade leather watch straps, as well as other handmade leather products. 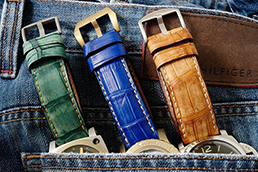 Each strap is unique and ​​specifically tailored to the needs of the customer. 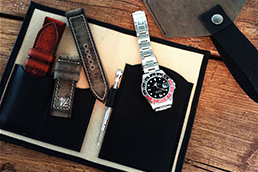 The straps are 100% handcrafted; every step, from cutting the raw material, defining the suture holes, to the stitching itself is done classically by hand, using saddle tools, dedication and skills.